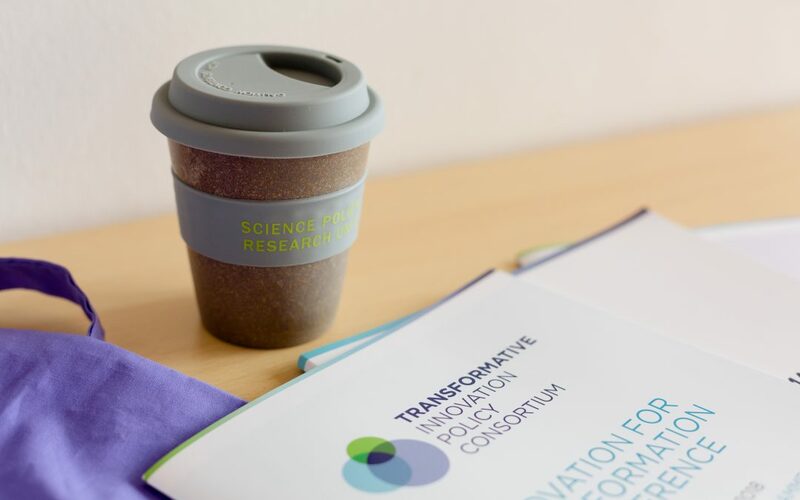 At a poignant time for the global conversation on man-made climate change, TIPC, coordinated by the University of Sussex Business School’s Science Policy Research Unit (SPRU), held its annual members’ engagement week featuring the conference – ‘Innovation for Transformation’. Comprised of workshops, panel discussions and seminars the focus through the week was on new ways to tackle what is seen as the conundrum of the 21st century – how to change habits, and establish norms and values that are sustainable on a societal and individual level. This came during a week when the International Panel on Climate Change (IPCC) provided its strongest assurance of the stark consequences for human welfare if countries and businesses fail to find alternative ways to meet basic lifestyle needs. Despite decades of knowledge around the unsuitability of fossil fuels for humanity’s longer-term situation, government, businesses, families and individuals have failed to conclusively take steps forward towards alternatives behaviours that change and embed new systems – in energy, in food and clothing production, in housing and in transport. The charge to alter behaviours needs to come from many groups across government, civil society, business and consumers. The Transformative Innovation Policy Consortium (TIPC), an international partnership of science, technology and innovation (STI) policymakers and academics, aims to do this by looking at how public policy in this area can direct fresh solutions fit for 21st century challenges, that ‘leave nobody behind’. The Sustainable Development Goals (SDGs), agreed upon by the United Nations in 2015, provide a to-do list of seventeen aims for humanity to reach by 2030, all encapsulated in the strapline – ‘Transform our World’. What is crucially different about the TIPC member is that they see these as applying not only to ‘developing’ nations but to ‘developed’ ones also. There is an acknowledgement that a new emphasis and approach to growth is required. After all, no country in the world has transitioned to systems which keep their citizens alive with approaches that are sustainable beyond the very short term e.g. into one more generation. “The conference was inspiring and provided a lot of energy and insight for developing TIPC’s work. For more information on TIPC follow on Twitter @TIPConsortium , catch the highlights and sign-up to the TIPC Digital Digest to receive the conference report. Watch the video on what TIPC is and why the world needs it.